Is Ashford Investments a Scam? Read this Broker Review Now! Ashford Investments is an unlicensed brokerage, launched apparently in 2017 (they do not provide the launch date on their website, so we had to turn to other online sources). The website is owned and operated by Teres Media BG Limited, located at Bulv. Gen. Totleben 53-55, Sofia 1606, Bulgaria. However, some online sources have them located at Business Park Varna, Building 8, 4th floor, Varna, Vladislav Varnencheck, 9009, Bulgaria. We cannot confirm any of the addresses. Is Ashford Investments A Scam? These guys don’t know the difference between Contracts For Difference (CFD) and Binary Options. When explaining how to trade CFDs, they say that you will select Call if you think the price will rise and Put if you believe that price will fall. Once that’s done, you “approve the trade and wait for your option to expire”. Umm, come on get it together. Oh, and one more thing: their trading platform only shows CFD but they talk about binary options all over the website (even their Accounts are showing the potential payouts in percentages, which is characteristic to BO). This is a tough one. Their website looks half-finished, their “real-time” graph shows EUR/USD at 1.16xx when actually it’s at 1.19xx (that’s 300 pips indifference!!!) and they don’t even have an FAQ section or at least I couldn’t find it. That being said, the only thing of some value I could find was a brief explanation of what cryptocurrencies are. Well, it’s better than nothing. Should I Open An Account With Ashford Investments? The trading platform is provided by SpotOption and it’s web-based, meaning that you won’t need to download and install any software. This platform is one of the most popular among Binary Options and CFD brokers, so at least we know it works as it should but that’s where the good news stops. The brokerage is not regulated and has a very bad online reputation, with people complaining all over the internet about failed withdrawals and lost money. The lowest deposit requirement is $250 – they call this account “Bronse” but they probably meant Bronze. Ah, spelling mistakes… why should they care, right? Anyway, they recommend starting with the Silver account, which has a minimum of $2,000 and according to them “is perfect for beginner traders”. No! What’s perfect for beginner traders is a Demo account or an account that allows them to trade very low amounts. Depositing 2K with an unregulated and mostly unknown broker with a bad reputation is NOT perfect! The education section is the same you can find on all other SpotOption brokers but with an added part about cryptocurrencies, which is good but don’t expect to become a Bitcoin expert after reading it. Generally, I don’t recommend opening accounts with unregulated brokers and Ashford Investments falls in the same category. They don’t have any feature that you can’t find on other brokers, so if you are looking to open a binary options account, you surely have better choices than Ashford. The Internet is full of people screaming Scam! and complaining that they cannot get any money out from Ashford Investments. The account managers are using high-pressure tactics to make clients deposit more and basically every trick in the Scam Book is used on their users. If you don’t want to be one of the people complaining on forums about your lost money, you know what to do: stay away! No financial watchdog has warned against Teres Media or Ashford Investments but this is probably due to the young age of the brokerage. The lack of warnings does not mean the brokerage is good. Just keep that in mind. Starting with the Silver account ($2,000), clients can receive a 50% bonus, which goes up to 100% for the Platinum and Diamond accounts. The required turnover is (deposit + bonus)*20 and if the client wishes to withdraw before that, the bonus and profits will be canceled. The withdrawal methods are credit cards and wire transfers, with a minimum of 50 account units for the former and 100 account units for the latter. According to their website, it takes 24 hours to process the request and 5 to 7 business days to receive the money. According to the internet masses, it takes forever. Crypto currency trading can be considered the only extra but there are a lot of brokers with a better reputation that offers Bitcoin and altcoins. Also, the trading conditions are not clearly explained so I don’t even know if they’re good or not. The website looks half finished and is not accessible from all countries (I had to use a VPN for this review). Then there’s the whole BO/CFD conundrum, which is really confusing because on the website they advertise BO and on the platform you can only find CFD. Even worse, they sometimes use the term CFD but the explanation is for Binary Options. The website is translated into only 3 languages. The asset basket is composed of 9 stocks, 4 indices, 2 commodities, 24 currency pairs and more than 30 cryptocurrencies, including Bitcoin, Bitcoin Cash, Dash, Litecoin, Ethereum and other altcoins. The cryptocurrency offering is very wide and it’s probably the best thing in their Asset Index. They don’t offer any information about expiry times because they only have CFD on the platform. On the website, they say they don’t charge any fees but in the Legal documentation, I could find a $25 fee for withdrawals. Live Chat couldn’t be reached on two separate occasions. According to their Accounts page the effective return goes up to 82% for Bronze, Silver and Gold accounts and up to 87% for Platinum and Diamond (min deposit $25K and $50K respectively). But like I said, they don’t have BO on the platform, so make of that what you wish. The minimum deposit is $250, the minimum withdrawal is $50 for credit cards and $100 for wire transfers. These are the only methods to deposit/withdraw (no e-wallets). Starting with the Silver account (min deposit $2,000), clients will receive a 50% Bonus, which goes up to 100% for the Platinum and Diamond accounts. The required turnover is (deposit + bonus)*20. The crypto currency offering is pretty wide and that’s the only notable extra on the site. We are sorry to hear that you were not satisfied with our services. We identified you in our system and currently investigating your complaint with high priority. If you have any questions or suggestions please contact us at [email protected] or call us +442038689102. We’re sorry to hear that your trading experience with us was less than ideal. Due to the lack of information provided in your review, we cannot identify your account in our system and take a close look at the situation. Please contact us by email: [email protected] or phone number: +442038689102 and share your experience or ask any questions regarding services provided by Ashford Investments in more detail. The account managers at Ashford Investments are more like high pressure sales people. The company isn’t really about INVESTMENT ….it’s really about risk taking (and they will TAKE your money). 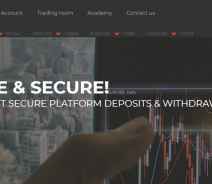 I have tried unsuccessfully to withdraw the money I earnt on their platform using a combination of FOREX scalping and day-trading. They claim my trading tactics cost them – yet they made money every time I opened and closed one of my 850+ trading positions. Their terms and conditions are not transparent and they love to shift the goal posts on you! Please contact us by email: [email protected] or phone number: +442038689102 and share your experience regarding services provided by Ashford Investments in more detail. Please contact us by email: [email protected] or phone number:+442038689102 and share your experience regarding services provided by Ashford Investments. Your feedback will help us to improve the quality of service we provide to our clients. Card details again haha I laughed and said ok give me your card details and let me take a deposit so I know that your human. Anyway obviously she said no right, I said what smart person is going to give you card details when your ringing of a unknown number and acting like your so desperate!? If it’s that great why don’t you invest and stop acting desperate, obviously she didn’t have an answer- funny that. When I was on the phone to her as well I found out they were not regulated 100% and asked her are you regulated YES she said very quickly, I said by who ? She said I don’t know but we are! so what are the card details she asked again. I said Anna don’t call me again and put the phone down. It seems like not only they are a scam but don’t get any sales training. We want to thank you for the provided feedback here and we would like to investigate the case more closely. In order for us to do so, we need to identify you in our system, please contact us via email: [email protected] or phone:+442038689102. We are sorry to read that you are not satisfied with our services. We carefully read your comment, identified your account in our system and currently investigating your case with the highest priority possible. As soon as the company has a better view of the situation with your account our representative would try to contact you to provide assistance. Hi…..I’m just so sorry for your loss. I’ve experienced the same, although I’ve only “lost” the initial $250, I felt that there was something fundamentally wrong with this setup. I immediately wanted “out” but their sales persons are VERY pushy, and now that I’ve requested my money back, I don’t hear a thing from them. We want to thank you for the provided feedback but we were unable to locate an account matching the facts you described in your post. We still would like to investigate your case more closely and in order for us to do so, we need to identify you in our system. we tried to find your account based on the information you provided in your post on this site, the e-mail address you put in the form as you posted your comments is not shown to other users. Though if you already contacted our Customer Support via e-mail, online chat or phone then your request is being reviewed and you should be contacted soon. In case you didn’t contact our customer support yet please send us an e-mail to [email protected] with a link to this site and short explanation of your complaint. We are sorry to hear that you have changed your mind and decided not to use our services. We will make sure that you won’t be called anymore, but in order to do so, we have to identify you in our system. Please, also provide us with names of our representatives you were contacted by in order for us to improve our services. Please contact us at [email protected] or call us +44 203 868 91 02. A very annoying company if they ever get your number, constant phonecalls, I have only answered twice with clear instructions not to ring me again… they try to argue with that to extend the call and keep you talking… just ring off or don’t answer in the first place. They sound British but are HQ’d in Bulgaria and totally ignore all normal politeness and don’t follow general business rules. Don’t give them a penny whatever you do and just ring off or don’t answer. Hi Tiucas, I second everything you said. I just wish I’d seen this website before getting caught in their net.